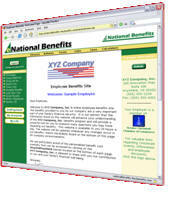 How will eNational Benefits help my Company? eNational Benefits is an online service for today’s employers that reduces communication costs, improves administrative efficiency, and dramatically impacts employee appreciation and understanding. eNational Benefits is highly customized to your company and is also personalized to each and every one of your employees. 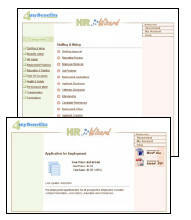 Managing HR functions has become very difficult for both small and large businesses. 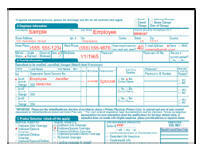 The areas of Benefits Communication, Benefits Administration, and Human Resources are particularly expensive and problematic for most employers. 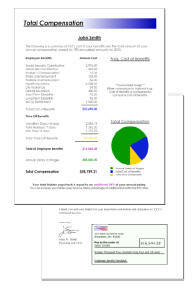 eNational Benefits expands the abilities and capacity of HR personnel, improving the bottom line. Most employers report that no more than 50% of their employees understand their benefits. Employees indicate that communication is inadequate, uninformative, and fails to meet their expectations. This problem creates confusion, increases inquiries, and ultimately has a very negative impact on employee appreciation. eNational Benefits reduces overall costs, increases understanding, and dramatically improves appreciation. On average, small to large employers spend over $750 each year per employee on routine administrative tasks. Additionally most companies are scaling back HR departments or do not even have dedicated HR personnel. Consequently management has little time to focus on core job duties like strategic HR, payroll and planning. eNational Benefits helps management remove several “hats” allowing them to focus on critical issues that impact the bottom line. Most companies today are inadequately equipped to deal with today’s Human Resources issues like compliance and turn over. The average company annually spends over $870 per employee complying with Federal and State employment regulations alone. eNational Benefits has a dedicated set of HR tools that help mitigate existing exposures, prevent future compliance problems, and reduce overall expenses. 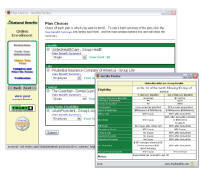 Descriptions of features and services will greatly accelerate your understanding of the power of eNational Benefits. Please read the information on the left side of this page.